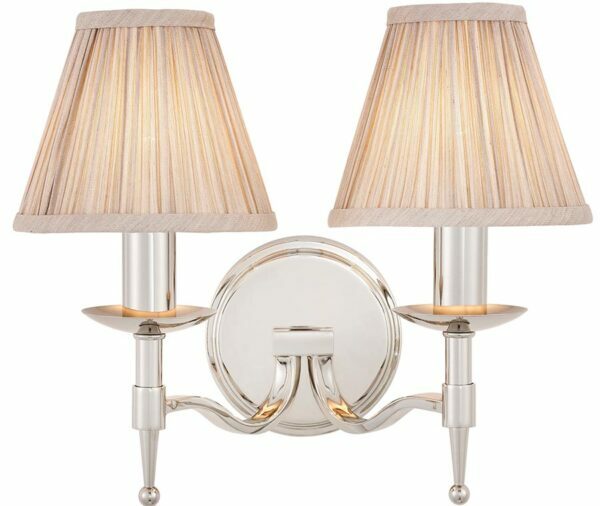 The Stanford traditional 2 lamp wall light in polished nickel, with beautifully curved arms and simple clean detailing, supplied with pleated beige shades. 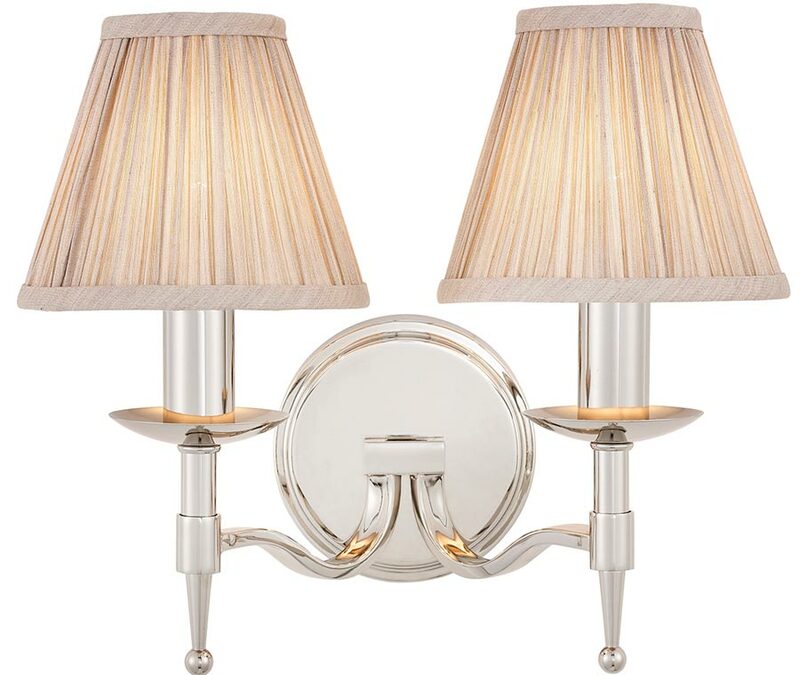 A wonderful highly polished nickel double wall light, with a circular wall mount and two polished nickel flat section curved arms, featuring candle drips, candle tubes and lower drop finial. Supplied with 6-inch pleated beige faux silk lamp shades.